As much as I hate to admit it, everything that Mark West says in this article about Chattanooga (my home town) is true. For example, he points out that Chattanooga was once considered the most polluted city in America – I remember those days when one couldn’t even see Lookout Mountain because of the brown smog that hung low over the city. 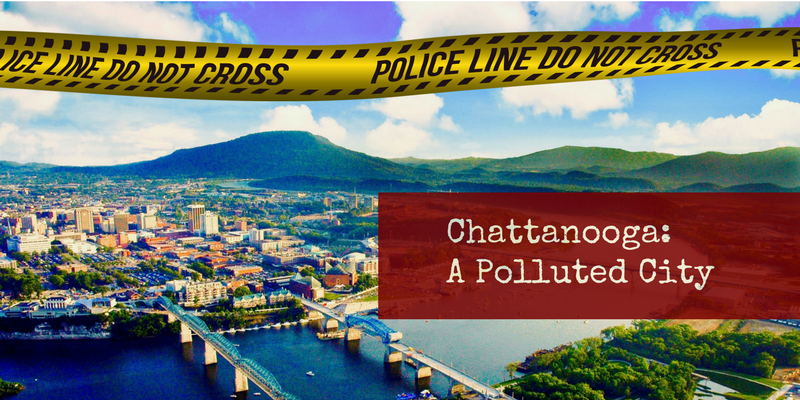 But it’s another kind of pollution that Mark describes in “Chattanooga: A Polluted City,” and that pollution is proving far more difficult to eradicate. I love my city, and I’m happy to live here. I mean, seriously, Chattanooga is regularly listed as one of those beautiful places everyone one – especially the nature-loving folk – should visit at least once. In addition to the natural beauty, there’s the history, the southern culture, and the courteous people. Yet, a serious problem wafts through the streets, and it’s going to take a lot more than nice words and eco-friendly investments to solve.